I always like it when the nice guys get the top jobs. Too frequently providers put in a suit with good P&L skills, an upwardly mobile corporate persona, amazing PPT builds, is always "selling" and never letting any cracks appear in the glossy façade. What's wrong with a down-to-earth guy who'll sit down and share a beer with you to give you the no-frills run down on his challenges and opportunities? What's wrong with an executive who has shed blood dealing with a decade-plus of transitions and tackling real client pain-points? 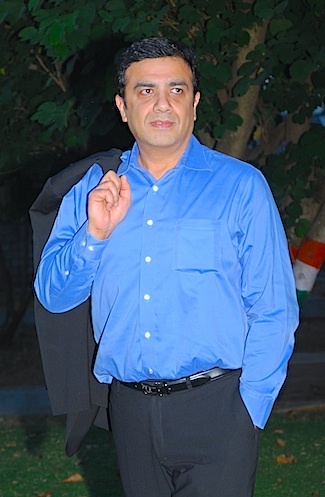 So I was pleasantly surprised when my good pal Gautam Thakkar got the nod to take on the reins at InfosysBPO last month. Phil Fersht, CEO HfS: Good morning Gautam! Could you share some background on yourself, where you came from and how you got into what you’re doing today? Gautam Thakkar, CEO InfosysBPO: Hi Phil... I’ve been working with Infosys for about 13 years. At that time the company was trying to grow an upsteam business - hiring consultants to work with clients and starting other transformation initiatives. I was in the middle of some projects and someone came up to me and asked, “Would you like to be a part of something Infosys is starting up, spend a couple of months framing a strategy for our BPO business?” I said sure, I’d do 2 months, but then 2 became 4 and 4 became 6 months. I went in kicking and screaming, saying this isn’t something I want to be doing for a lifetime! But as you now know, it’s become something I’ve done since 2001, before Infosys officially got into the business. I was one of the first employees at Infosys BPO and have been through almost 10 years of the company’s BPO journey, played different roles along the way and ended up in this position. I’ve lived and worked in the US, India and Europe. It’s been an interesting evolution to see a company that was conceptualized from the grassroots and growing to where we are today, at 25,000 people globally, 23 centres and more than 60 nationalities. Phil: You’d been heading the F&A practice for a long time, and that’s now broadened into a CEO role. What will you be doing differently now? Gautam: As I mentioned, since I was one of the early employees, we were pretty much doing everything in the beginning. Then I was responsible for the entire Europe business, which morphed into the F&A role. Subsequently to that, in the last 2 years I’ve been handling all horizontals outside of F&A as well. This is what we refer to as the entire enterprise business BPO, accounting for 65% of revenues today. So yes, F&A was the largest part of the business that I was looking at directly, but other businesses were also rolling into me. The transition has been smooth, as I was running 65-70% of the business already and was connected with most clients. The agenda that my predecessors saw for the company was growth, differentiation and people. This is the foundation on which we have grown the business and will continue in the future. From a client standpoint, we follow the 3 Rs – being Relevant to our clients & employees, Respected as and as the best place to work for employees and one of the most profitable businesses and having strong Reach with clients and drive sustainable businesses globally. I’m taking it upon myself to be connected to most CXOs, clients and otherwise. So directionally, the transition has been smooth because I was a part of leadership team earlier and will be taking forward these principles to engage with clients. Phil: Looking back ten years ago to when you first formed InfosysBPO, what’s different today? Gautam: I think there are some things that are different, while others remain the same. Cost is a focus area and has stayed true as a favorable driver for clients to engage in BPO. When companies look to us, cost is still one of the drivers. However, what has changed dramatically is the way that we engage with clients. They are now looking at it from a revenue standpoint - how do we offer agility, flexibility and scale? So the conversation has moved from a cost focus to a growth focus in BPO. For example, we’ve moved with clients to different geographies. We recently opened a delivery center in Costa Rica where we are giving a client nearshore scale and flexibility. Last quarter we talked about creating 200 jobs in Atlanta. So ten years ago, the value proposition was largely cost. Now it has shifted to cost and growth as well – growth-led BPO. This is reflected in our revenues as well, where 40% of it comes from global centers outside of India. The headcount still remains largest in India, but we have 6,000-6,5000 employees working outside India in these global centers. Phil: One of the things that impressed me about InfosysBPO is that you’ve gone after different markets, beyond F&A, from the outset (read our earlier discussion). For example, you’re the largest and most successful Indian provider in procurement BPO, and you’ve got tentacles in customer management and insurance as well. Can you talk a little bit about the broader portfolio and where you’re going to double-down in the next 3 years? Gautam: Phil, the way we’re organized today, we’re centered around industry vertical solutions and the horizontals where we’ve made a lot of investments. There are certain areas where we’ll be spending a lot of our time and expanding on these investments. Sourcing and procurement is continuing to hold our attention because it is where we are having value based conversations with clients. We also acquired an insurance platforms specialist, Mccamish Systems in 2009 - insurance is another business we are spending a lot of time on, from a vertical solutions standpoint. Overall, sourcing and procurement, insurance and healthcare are the key areas we are being fairly aggressive on. F&A continues to be a staple, even though it is the most competitive service area. I believe its there for the taking, and is the easiest conversation to have with a client since the area is relatively mature. Phil: Infosys has been frequently making acquisitions to grow the BPO business, more than most other BPO providers out there. What is the thinking around that? Can we expect more acquisitions in the near term? Gautam: We have made acquisitions historically in BPO – the Philips center, McCamish, Portland and Marsh BPO. All these we acquired not for scale, but for a logical fit in our portfolio. We identify those areas (white spaces) which we believe will give us the capability and skillset to get a headstart or help fill the gaps from our overall capability set. However, each business has to stand on its own – we don’t want to go acquire just to get revenues. Businesses have to be profitable and have clear growth paths of their own. We also want to make sure we are able to go after them in a structured fashion. One aspect people tend to ignore is how the acquired firm integrates in the company and whether it’s a good fit overall. All our BPO acquisitions have been integrated extremely well, giving me great confidence to go ahead and look for similar assets in the market, as and when it happens. We’re always looking for the right assets which fulfill the criteria I outlined, and we’ll continue to do so. Phil: So what are you going to do differently that’s going to make a huge impact to Infosys and the market? Gautam: One of the aspects I’ve always been comfortable with at Infosys is client relationships. That’s my strength and I will ensure I engage with the right clients, whether existing or prospects we’re targeting. As I mentioned earlier, the bedrock of what we had evolved was growth, differentiation and people. If I extend that to the 3Rs, I am going to continuously focus on and hopefully take Infosys to the next level. The nature of the market is also changing, there are more integrated deals happening now. Fortunately when we talk to clients and customers, we are one business, whether its IT, infrastructure, systems integration, consulting or BPO. That gives me strength and comfort that we’ll be able to take this to market appropriately. I believe clients will start seeing that value proposition that I think will differentiate us from the rest. Phil: There’s been a lot of talk, particularly from Infosys, about seeking "non-linear growth"…you’re saying 33% of revenues are going to be targeted at being non-linear in the mid-term. How realistic is that for BPO, is that achievable and are you already seeing signs of that evolving for the company? Gautam: The BPO and technology businesses are very closely linked at the hip. The platform strategy that Infosys 3.0 talks about is very closely linked to BPO as well. For example, two of our platforms out there, TalentEdge and ProcureEdge allow us to go on the platform and manage the entire stack of applications, infrastructure and all the business processes. That completely ties in to what Infosys is trying to do from a non-linear perspective. The other thing to remember from a BPO standpoint is that we’re close to $600 million in revenues and 25,000 people. Three years down the line, if we want to double revenues, we can’t also double headcount. There has to be a break in linearity so that we can grow our business sensibly, along with technology interventions. Infosys 3.0 fits in with what we’re trying to do because for this industry or business, you don’t want to double both [revenues and headcount]. After a while, it becomes unmanageable. There are some core processes which will be intensive on resources, but I think technology will play a big role. This is why I mentioned the cost and growth focused BPO initiatives. The shift will increasingly happen, but it will be on the back of technology, not just on the back of headcount as you increase revenues. Phil: Finally, if I wrote you a cheque for $2m today, what would be the first thing you would do? Gautam: <laughs> What would be the first…? I think I would take my family on a long holiday. This is more for them than for me. They bear my travels and being away for long periods of time... I think they definitely deserve a break more than I do! I’ll take them to the most exotic place that they can think of and be at their beck and call to do whatever they want to and hopefully spend that money usefully. Gautam: I'll pass that on to my wife. I think she will be very impressed, I don’t know about the rest of ‘em! Phil: Gautam - you've been a great sport! Am sure there will be many folks here wishing you all the best in the new role. Really interesting to hear the InfosysBPO growth story. Great interview! I hadn't realized the BPO group was at $600m in revenues. That's an impressive growth story and shows you have the scale and depth to challenge the market leaders. Great to see a more credible and charismatic player holding the reins of IBPO! very inspiring and shows how committed the leadership is towards clients and employees.. This marks a very Special and Important time for you, and so this brings best wishes and congratulations too.